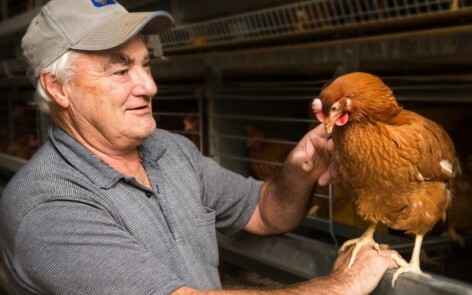 Caring for hens is a farmer’s number-one job. Happy hens lay good eggs! 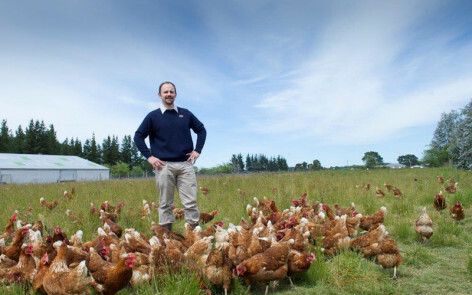 In New Zealand, all commercial egg farmers abide by a series of high standards in their farming and in caring for their birds. Layer hens are specially bred in New Zealand under strict guidelines and biosecurity regulations. Beak trimming of chicks often attracts concern and controversy, however modern beak treatment is a humane and beneficial farming practice. Modern beak treatment is done in hatcheries by trained staff with special equipment. It is performed by laser and is painless, as similar to human fingernails, hens do not have nerves or a blood supply in the tip of their beaks. Modern beak trimming is an accepted practice by the National Animal Welfare Advisory Committee and the New Zealand SPCA. Shelter is a must for all hens for protection from the elements, predators and for their own comfort. In commercial egg farms, hens may be housed in conventional cages, colonies, barns or free-range. Each method offers its own set of advantages and disadvantages for farming. The best housing methods address the hen’s natural instincts providing areas for nesting, perching and scratching. 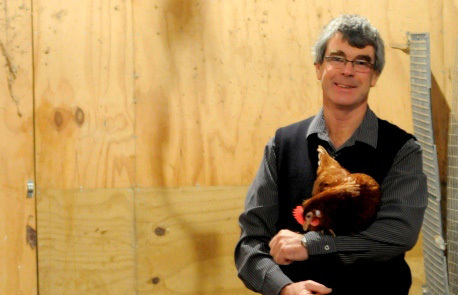 Learn more about the farming methods and housing used in New Zealand egg farms here. The layer hen diet consists of feed made from mainly wheat, maize, corn and soybean meal or bone meal. Hens must also have ready access to clean drinking water. This exact composition of the feed will depend on the cost and availability of these ingredients to farmers, but must comply with the requirements of the Agricultural Compounds and Veterinary Medicines Act 1997. Preventing disease and illness through good hygiene practices and regular monitoring is a priority for egg farmers. Farmers will do daily checks on their hens to ensure they are in good, healthy condition and to identify any signs of injury or illness that need attention. Cage farming methods have been scientifically shown to reduce the instance of disease and illness as birds are not as easily exposed to the pathogens often found on the ground or through increased contact with other hens or species. Antibiotics are only used in layer hens when prescribed by a registered veterinarian to treat diagnosed illness.